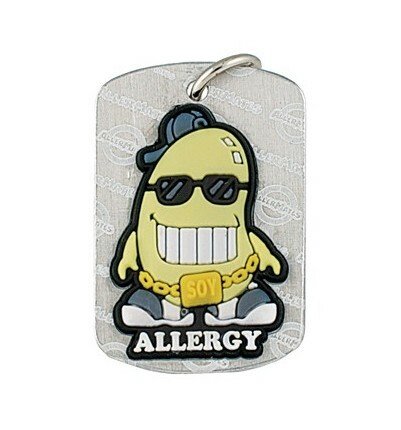 This soy allergy dog tag has a funky soy allergy character that boys and girls love. 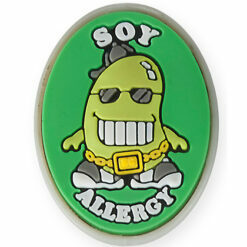 These soy medical dog tags alerts others to your child’s soy allergy. 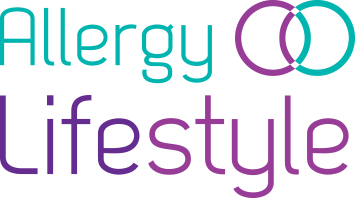 The funky soy allergy character on the front makes it attractive to kids and the “Soy Allergy” message on the back gives a clear message about your child’s allergy. The tag is silver in colour and nickel free (hypoallergenic). It is 1.25″ long and 0.75″ wide. It comes with a purple 16″ stretchy silicone necklace cord, the necklace is 100% latex free.